I wrote a letter a long time ago. Sent it to someone whom I'll never know. Life unremembered the Day-Star above gives serenity to us all. Days turn to night. Darkness comes to life. Shadows of those left behind. Promises never made, memories start to fade. But pains or remorse won't subside. I look up to the sky, and offer my wish to the Day-Star. Asking its light﻿ to shine, illuminate all we forgot. Fractale is an 11 episode SciFi series based on the short running manga by Hiroki Azuma, Mari Okada, and Yutaka Yamamoto. The series from director Yutaka Yamamoto is from A-1 Pictures and is currently licensed by FUNimation and Manga Entertainment. The manga has not been licensed as of this review. This opening has all the pretty colors! So here we have A-1 pictures, the studio behind Black Butler, Sword Art Online, and recently Vividred Operation. I don’t really think I need to go into a lot of detail with the animation style of the series. It’s beautiful, simple, and flows rather nicely. The music is also a rather nice listen. 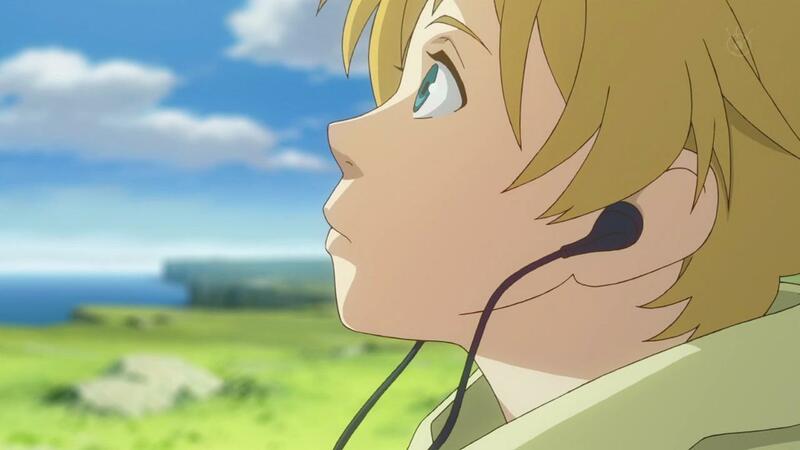 If Last Exile had some of the more Scottish influences mixed into it’s music, then Fractale is it’s neighbor Celtic. The ending theme is the most predominate example of this. Really simple and easy to listen to during those quiet scenes while bombastic during the fights and chases. Occasionally, it will get a little goofy, but it can be a nice change overall. The story of Fractale was a little hard to get into. Here’s the thing: Science Fiction has never been my forte. The reason being, growing up, all the science fiction I was introduced to was Star Trek and Star Wars cause of my Dad. Years later you add things in like my boyfriend’s love of Firefly and everyone’s crazed obsession over Dr. Who. Science fiction was just never for me. However, since I started taking a Science Fiction class in my final semester of college and running into this series, I’m beginning to change my mind. What Fractale does is gives us a world where millions of people rely on this system called Fractale in order to live their lives. But when Clain meets Phryne and Nessa, it in turn leads him to Sunda and Enri and the truth about Fractale and what it’s purpose is. In literature, there’s two ideals that are used. One is Realist and the other is Gothic. The Realist stories are the ones set in real time and real conditions. So, for example, Say I love you. Gothic is the exact opposite. It makes the impossible possible and brings in so many more worlds to explore and seek out. An example of this in anime would be..... Well, almost everything I’ve reviewed! Soul Eater, Canaan, Eden of the East, Paranoia Agent, Kaiba, etc, etc. But seeing this kind of Gothic story telling is really really nice compared to the dozens of other stories I’ve seen as of late. Hell, in some ways, Fractale is almost 100% original in it’s story and it’s thought process. That and the end made me cry..... I can be such a sucker sometimes. But I do have to say that some of the plot points that are just thrown into the mix near the end was rather troublesome. I obviously can't go too in detail cause of spoiler territory, but know that there are a few minor cop-outs in regards to the final few episodes. There are three lead characters of Fractale: Clain, Phryne, and Nessa. Clain’s experiences of the series make him a rather neutral party in the entire fight against Fractale. Even by the end, he just wants to be with Phryne and Nessa and has no interest in either side of the fight. Does this make him a terrible character? No, not really. But it doesn’t make him very interesting. We’re suppose to question what Clain goes through, but with a character that’s kind of flat and one sided, it makes it very difficult to achieve. As for Phryne and Nessa, both girls are way more interesting then Clain. My only real problem is that I want to learn more about Phryne’s experiences at the temple. There are some blunt hints towards some past trauma, but that’s about it. Otherwise then that, the supporting cast had their good characters and their bad ones. The good being more along the lines of Sunda and Enri and the bad kind of more along the lines of Dias. Please give Brina Palencia more female roles!! What made me want to watch the series was the fact that Hulu mentioned the dub would expire by a certain time. After that, I basically went on a mad marathoning spree so I can have the chance to watch the dub. And I have to say, it’s kinda average to me. It’s odd to say this because it’s FUNimation and they usually blow dubs out of the water, but with Fractale it’s just the same old same old except for a few stand out performances. One such performance is Caitlin Glass as Phryne. If I remember correctly, Fractale was the first major projects she returned to voice acting for. You can sure as hell tell she missed it, cause she did an amazing job as our lovely priestess. Luci Christian was another lovely surprise to see as our cheerful girl, Nessa. It’s been a while since I’ve heard Luci play a little girl since she’s been stuck in either adult roles or young boys but Nessa was fun to watch as well. Then we have Scott Freeman as Sunda. Now I’m not entirely familiar with his work, but I will say that with this and Baka and Test he’s certainly growing on me. 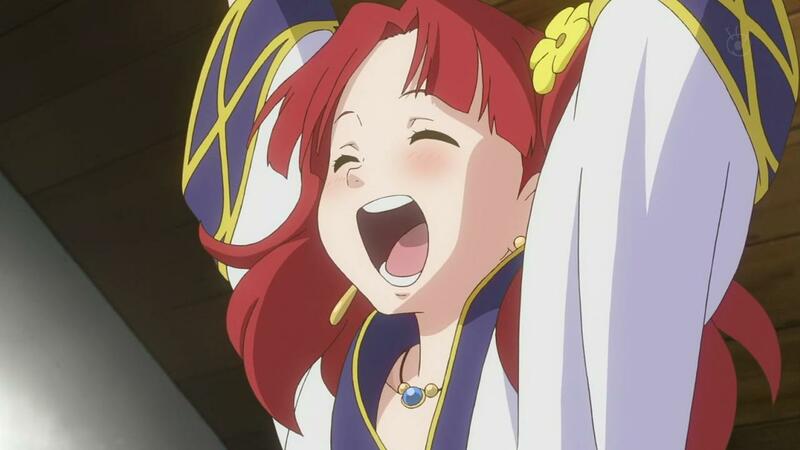 A few other mentions would have to be Monica Rial as Enri, Eric Vale as Dias, and Stephanie Young as Moeran. Now, here’s the down side... I honestly love Brina Palencia to death, but FUNi needs to stop throwing her into male roles. It's getting really tiring to see this keep happening to a person who has a lot of talent. Take a chance FUNi! Give her something that will rival her performance in Spice and Wolf! By the end of the ceremony, Fractale has really good concepts and themes that are completely different then the typical Science Fiction series we’ve been seeing as of late. The animation is wonderful, the music is easy on the ears, and the story is pretty solid. However, the dub is mostly average and Clain just kind of falls flat as a lead character. If you want a different kind of SciFi story, then Fractale is the way to go. And, if you’re not much of a SciFi person like I am, it may at least give you a new lease on the genre. If you’re not interested period, then don’t watch it. Next time...... Uhmm...... 11Eyes. Until then, otaku on my friends! This is a great review. I really love Fractale! I'm not really one for Sci-Fi either, but I did enjoy it.